The list with portfolio digital themes offer examples of modern and clean themes from many theme shops around, you can pick and customize any theme in order to fit your needs. Some of the best themes are design to show large amount of work but some are very simple and clean. Decide what your taste is and how your artwork will fit in any of the themes, since they are all free you can test as many of them as you like. Click on any theme and download the free version theme of your choice. We will keep adding new creative themes so check back soon. 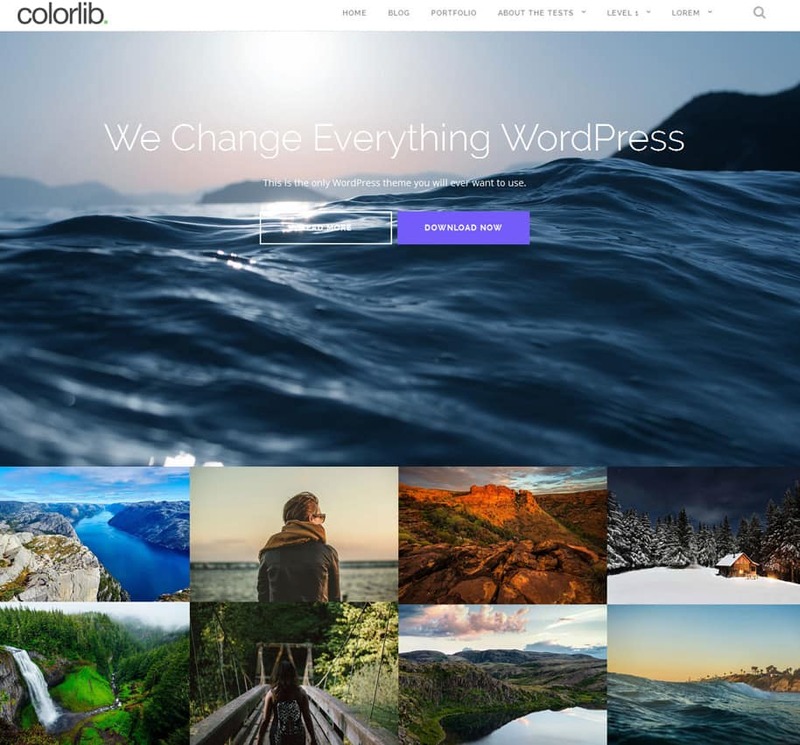 Some are the best premium WordPress Themes for web design company. 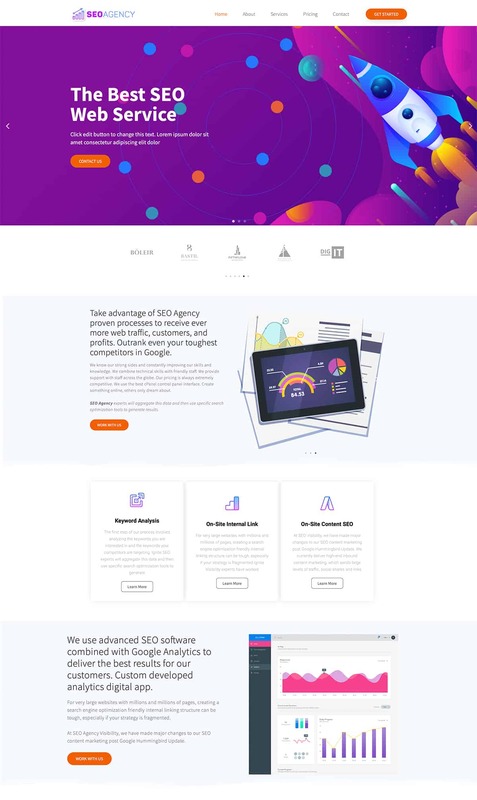 Free and Modern SEO Agency WordPress Elementor template base on drag and drop. Perfect solution for any freelancer looking to open and SEO agency for your clients. Fully responsive with minimal and clean design. Perfect full screen slider and slow load elements for modern and professional look. Use this theme to showcase your SEO skills and advantages for your clients. SEO Agency uses the best UI design and layout practice to make your website easy to navigate and clean to understand. Best and Free Hosting IT elementor WordPress template in grid style for anyone looking to start your own company. 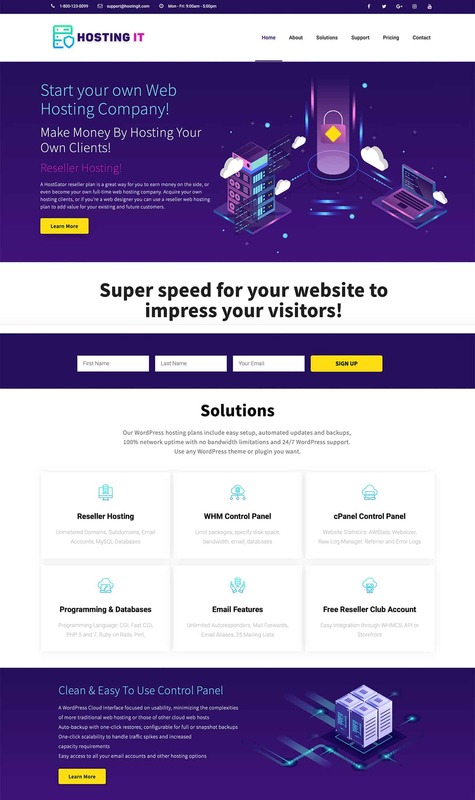 Use Hosting theme to host your clients website and make money by using reseller program for your own or clients website. Easy promote your digital hosting business and become the entrepreneur you always wanted. Beautiful and fully responsive WordPress based with elementor page builder drag and drop. Creative is modern and fully responsive portfolio WordPress themes with fullscreen build in slider and and featured images under the slider. Perfect option for any designer or photographer looking for large images with hover text option. 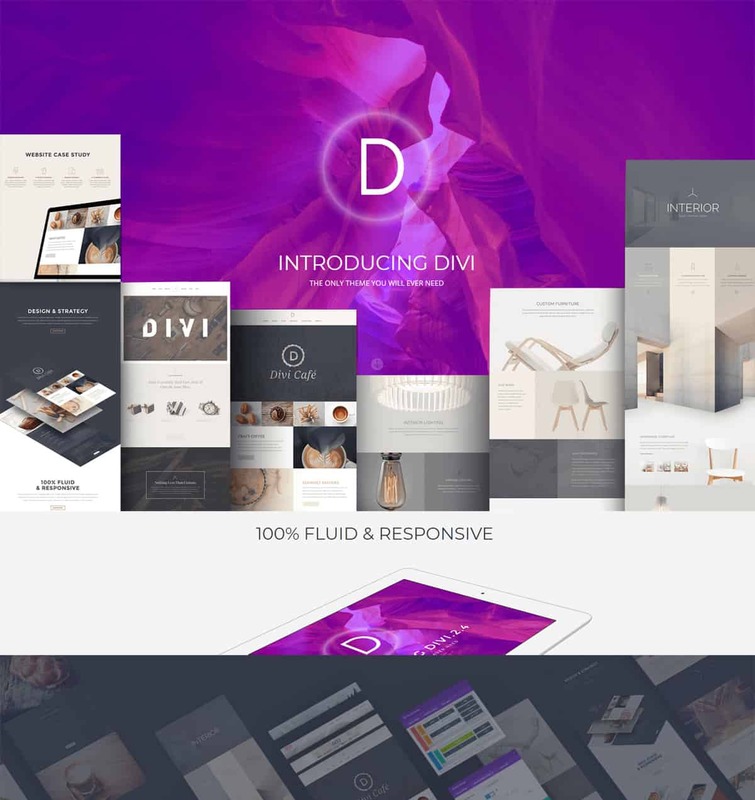 Great theme to impress your clients or coworkers, easy to setup this beautiful creative portfolio theme will make your website look professional. 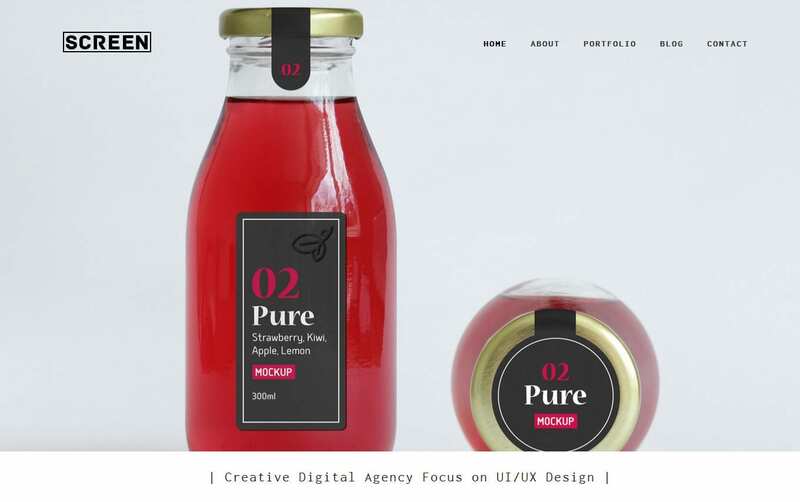 Looking for amazing and creative digital WordPress with modern and stylish design. 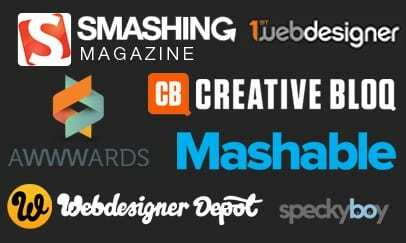 Best WordPress themes for web designer and developer. Masonry grid responsive WordPress themes, with center images in grid based layout. Fully responsive with load more function. 3 column center free grid WordPress theme. Masonry is very minimal and beautiful grid layout modern theme. Masonry & Pinterest Style WordPress themes. Best free pinterest style themes and free masonry themes. 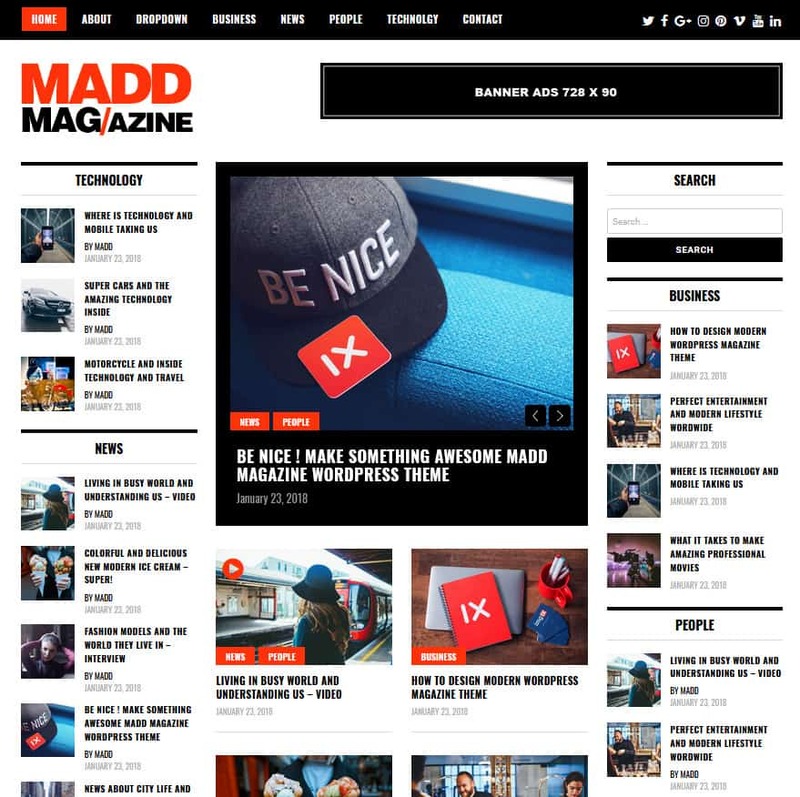 Madd Magazine beautiful and creative grid based magazine WordPress theme for bloggers, writers and journalists. Madd magazine is fully responsive magazine grid based theme with build in responsive slider, left and right custom widgets options. It has many options to add advertisement, newsletter signups and custom about widget text. 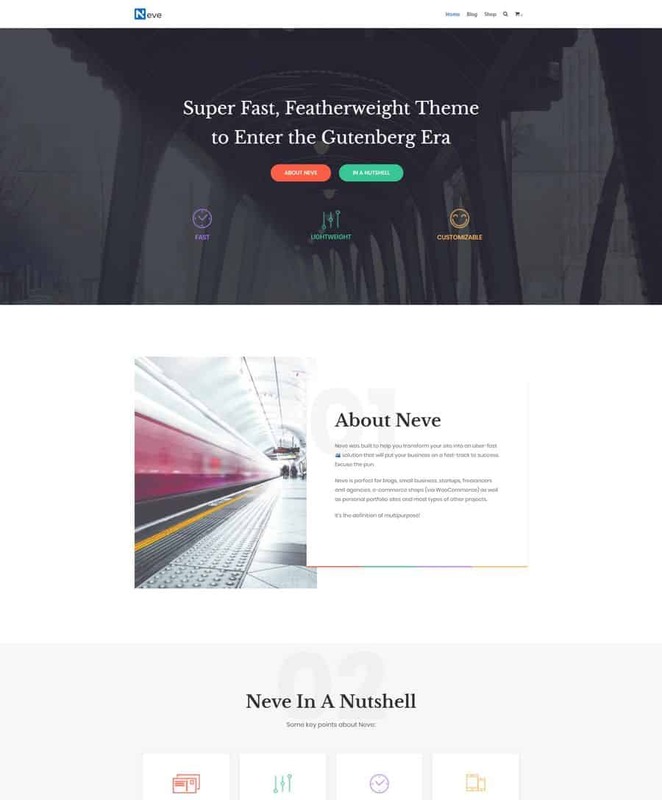 Easy to setup with many customization features, colors, fonts, banners, etc..
Neve is a free WordPress theme that will make your website fast and smooth. It is perfect for small businesses, agencies, blogs, startups, freelancing, and WooCommerce. Actually, Neve is so versatile that can be transformed into any type of business. Moreover, the theme comes with full Gutenberg integration and compatibility with page builders like Elementor and Beaver Builder. Check out its multiple demos to see which one fits your goals. Gallery theme is 2 column grid based WordPress theme with build in infinite scroll. Display your artwork in modern and beautiful way. Fully responsive 2 column grid based theme, with titles under each post. 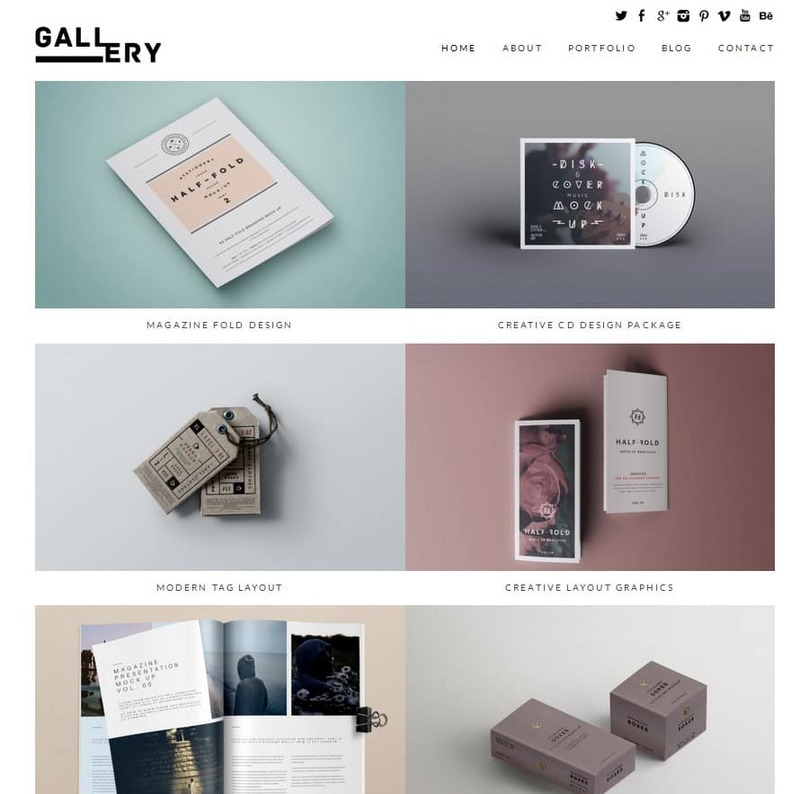 Gallery theme perfect option for any designer looking for modern grid WordPress theme. Impress your clients and coworkers with amazing display of your portfolio. 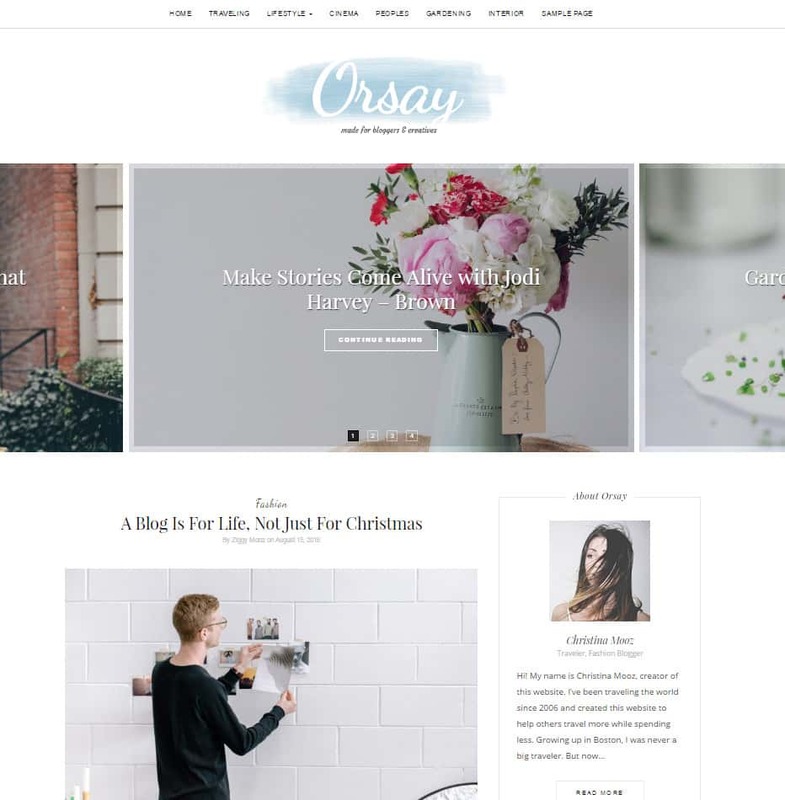 Best free pinterest style themes and great masonry themes. Gridly fully responsive grid based WordPress themes with center 3 columns layout. It comes with images, titles and small description under each posts. Clean and minimal fully responsive grid theme. 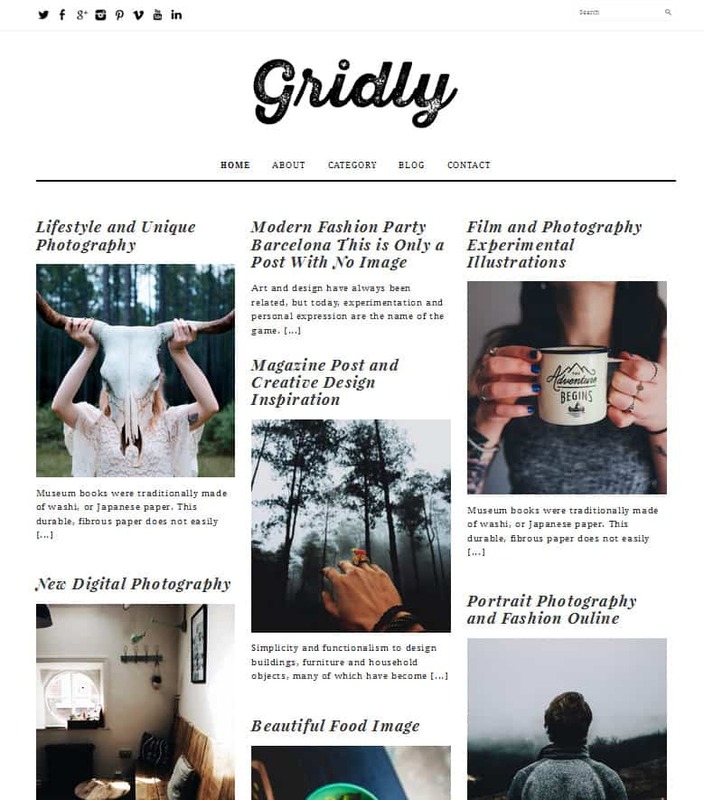 Gridly WordPress theme for bloggers looking for grid based layout with titles and description. Fully responsive and mobile optimize, perfect for grid SEO theme website. 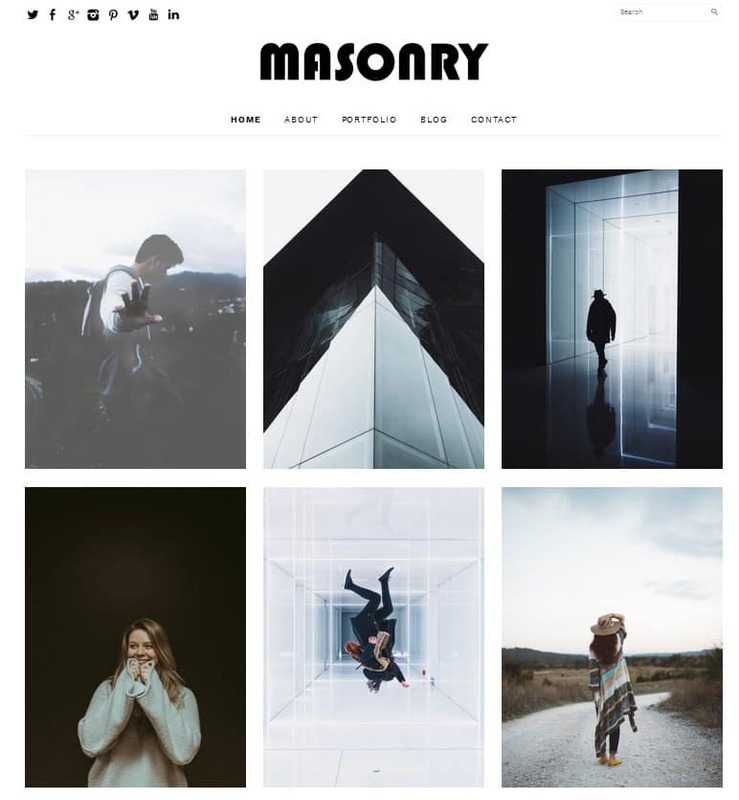 Masonry & Pinterest Style WordPress theme. Vertex creative and fully responsive WordPress theme for building portfolio website. Unique and modern design with full screen slider and grid based layout under the slider gives this theme its unique position. Perfect choice to re build your portfolio template or create new website for a digital portfolio or photography studio. 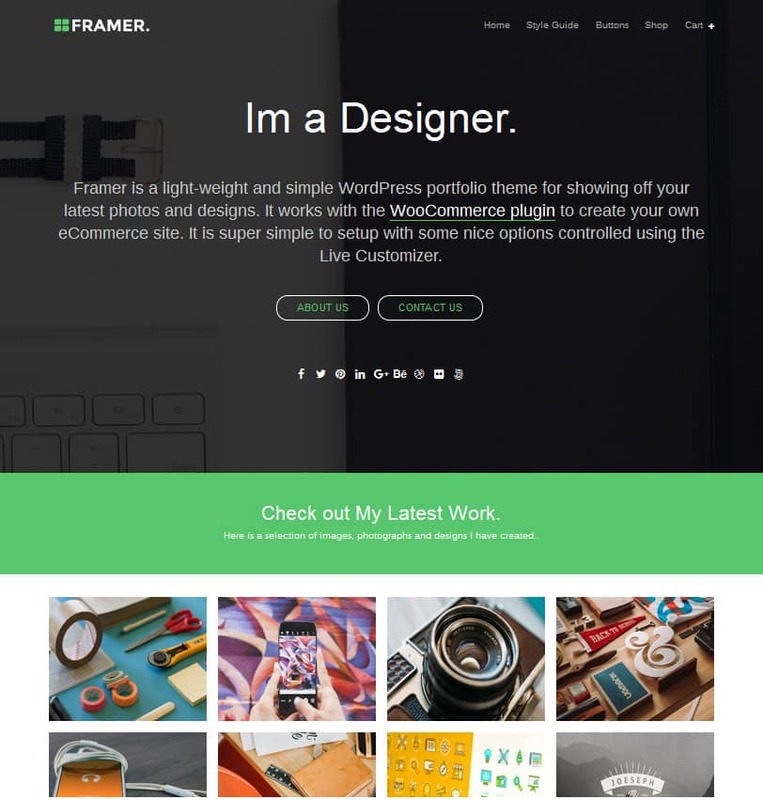 Framer beautiful and fully responsive beautiful WordPress theme perfect for any designer looking for large feature background image with overlaying text and description. Great option to show your portfolio once you scroll down on the homepage in beautiful grid based style. Easy to customize and install framer is great option for any creative designer looking to update their clean portfolio. Hestia beautiful fully responsive free WordPress theme for creative agency. Slick material design integrated this theme is as beautiful design as it is coded. 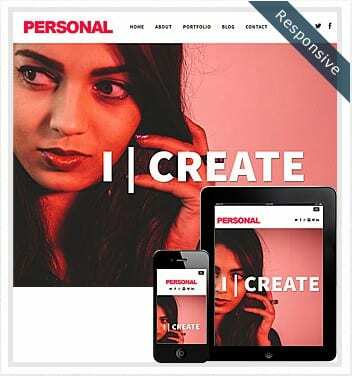 Take advantage of this amazing responsive creative theme to update your portfolio or agency website. Build with material design gallery and many custom options so you can design and customize this theme in any way you like to make your professional portfolio looking amazing for any graphic designer. 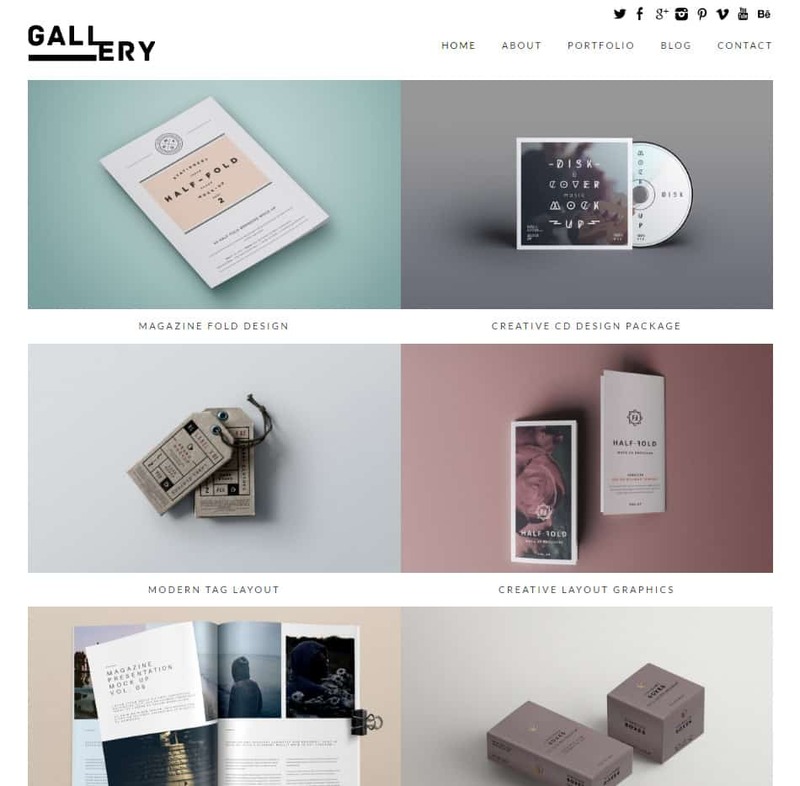 Gallery free WordPress theme for designer and creative professionals. Modern and grid based with simplistic layout and great design. Focus on your work in grid style with infinite scroll. Beautiful design and minimal layout this fully responsive portfolio gallery theme will impress many visitors to come. Free gallery theme for graphic designer looking for modern portfolio. 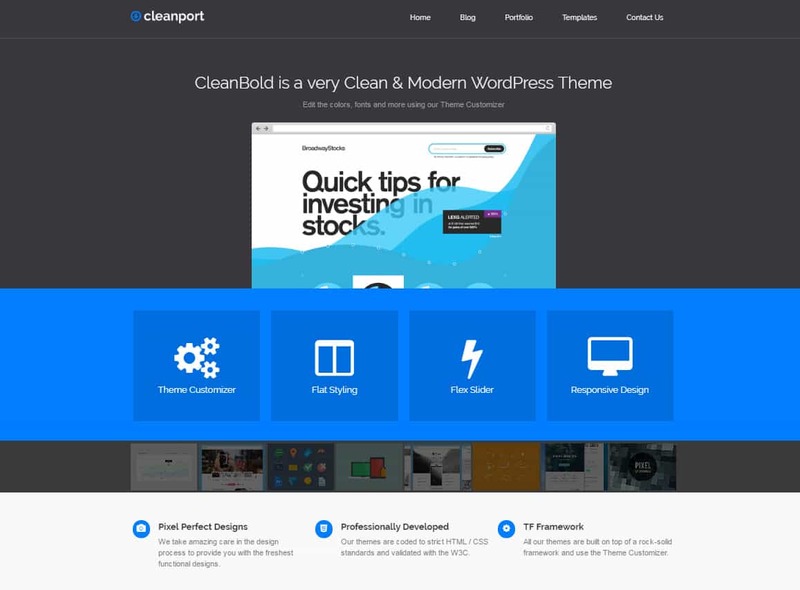 CleanPort slick, modern and clean portfolio based unique WordPress theme. Free and fully responsive pixel perfect theme with framework build in. It has flex slider and responsive design with many theme customizer to help you change the layout to your own needs. 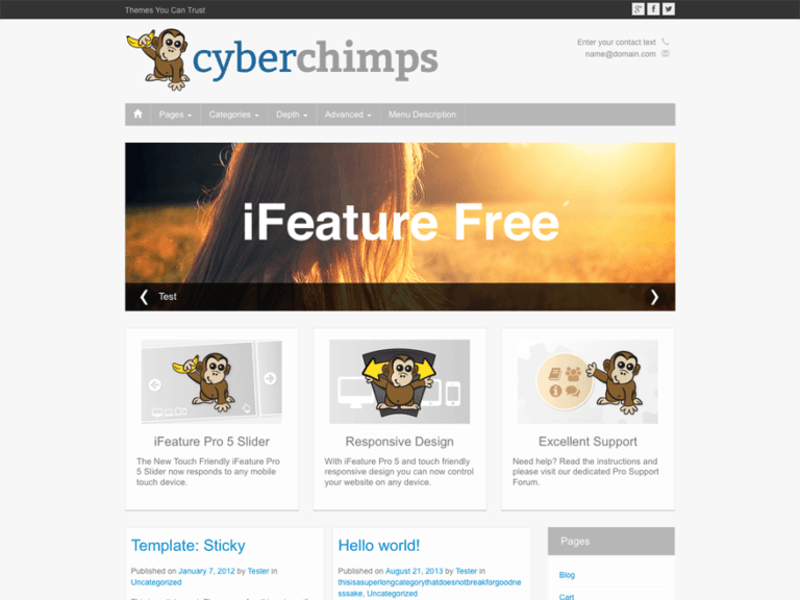 iFeature fully responsive and well coded Free WordPress theme. Perfect solution for minimal but creative free portfolio sites. 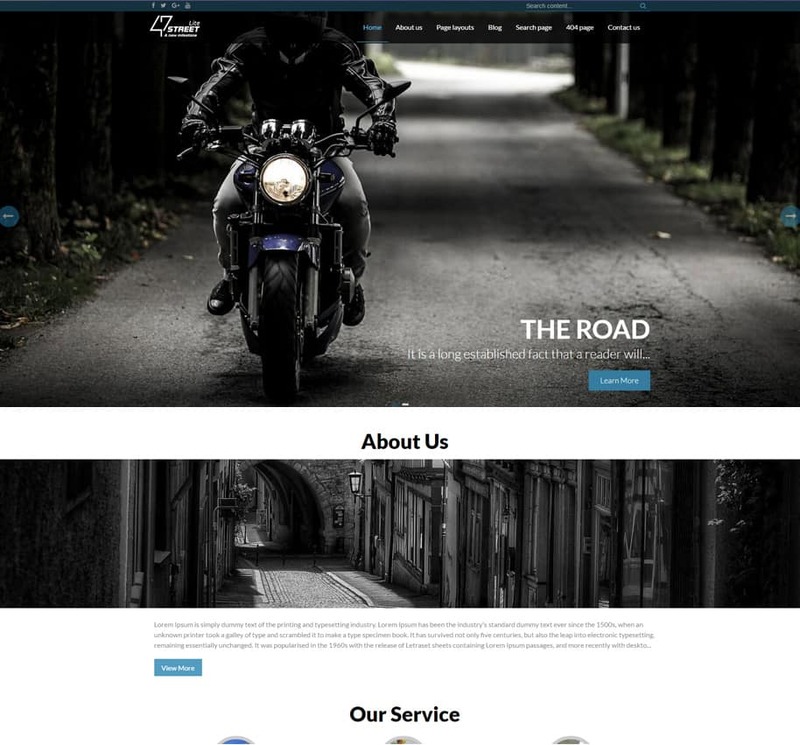 If you looking for well coded fully responsive theme with build in slider this theme is perfect solution for you. It comes with many customization features to fit your need, easy to install and setup. FortySeven Street fully responsive and free portfolio and creative based WordPress theme with full width build in slider. 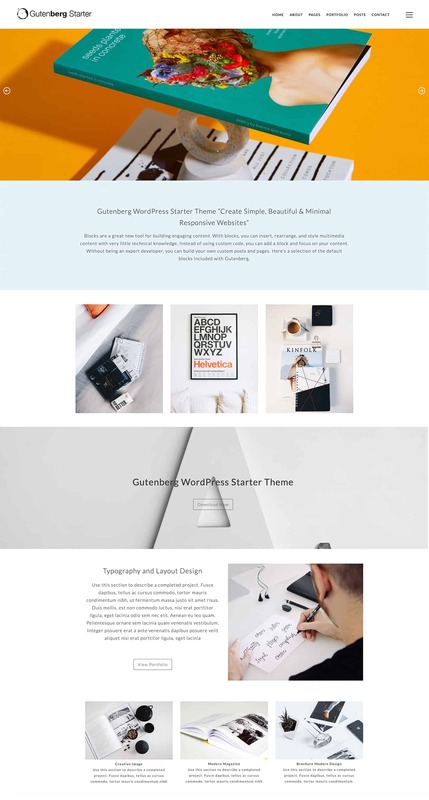 FortySeven is a great creative and visually pleasant WordPress theme for any designer or agency looking for amazing new theme and update their website. SEO optimized and well coded to fit any small to large scale website. 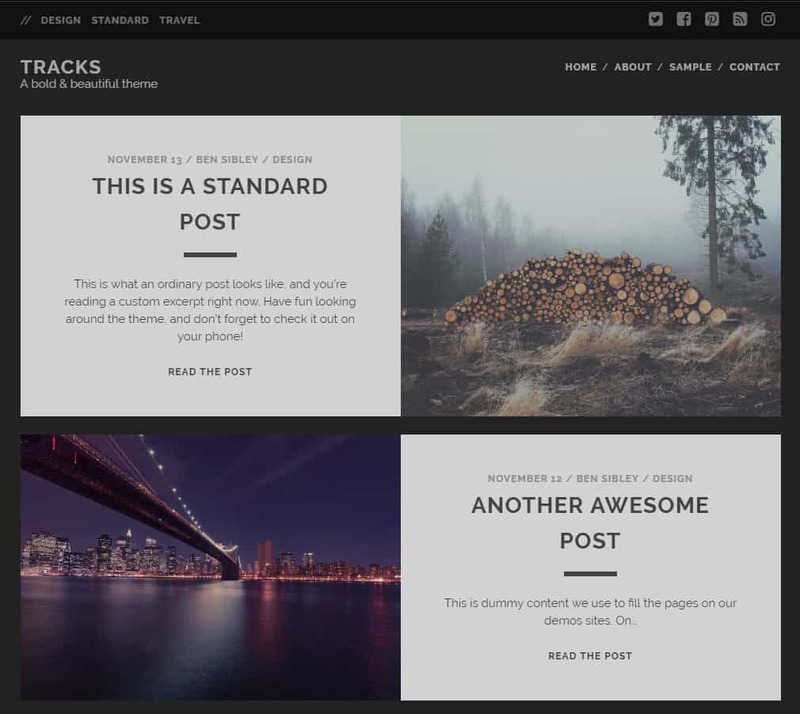 Tracks is unique and modern simple WordPress theme focus on creative photographer looking for simple wordpress theme to showcase amazing photography. 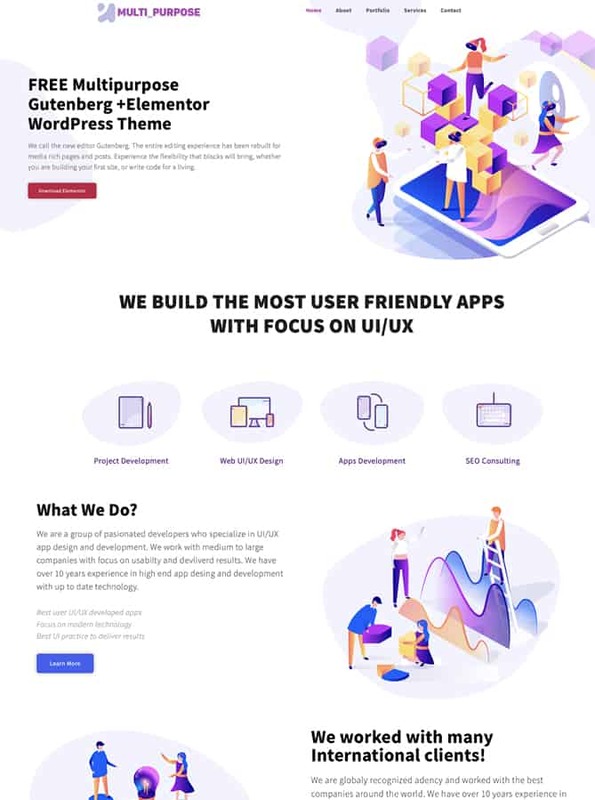 Easy to setup and install this fully responsive and well coded theme is perfect solution for main focus images to be a focal point of your website. iRibbon is fun and creative simple portfolio design WordPress theme with simplicity in mind. 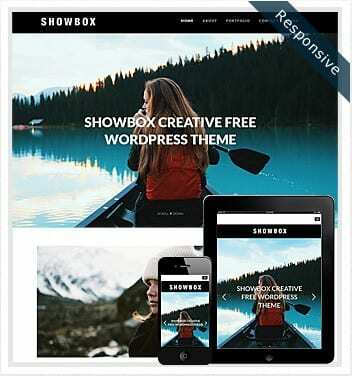 With build in responsive slider and 3 featured posts under the slider this theme is simple but effective way of showing the most important part of your website. 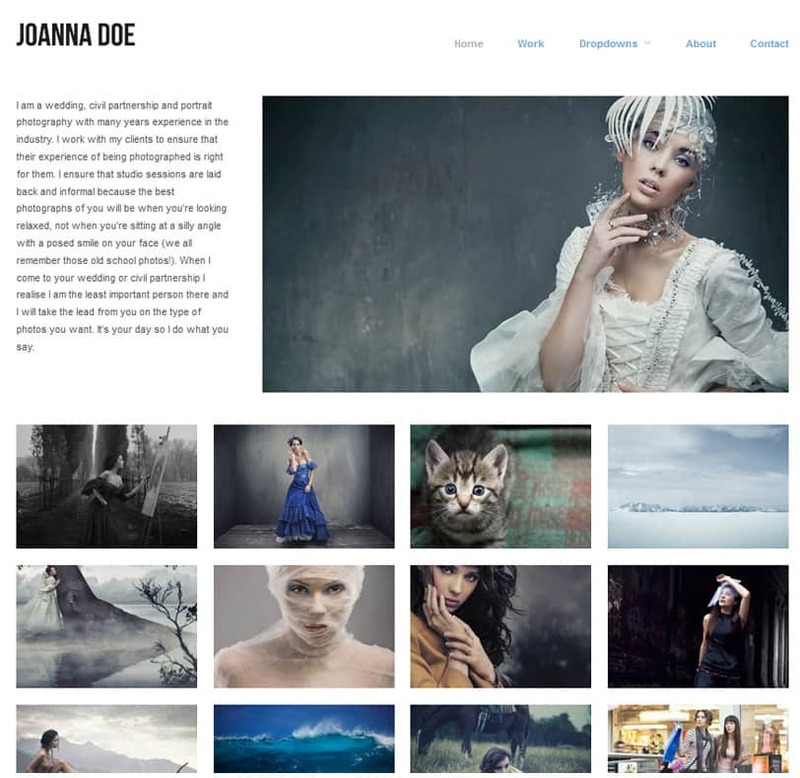 Easy to navigate and install this theme is perfect for simple portfolio website. 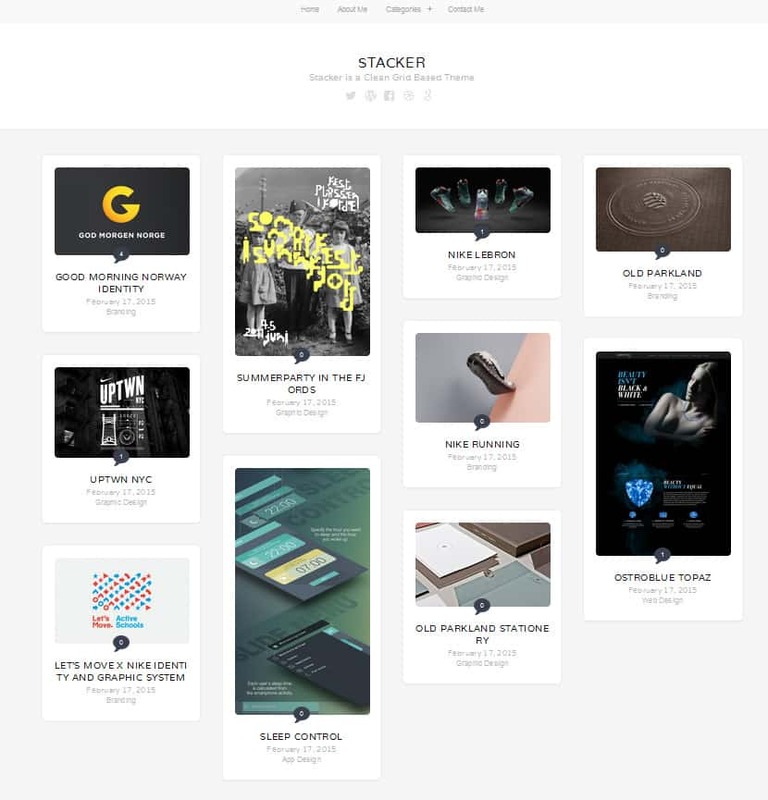 Stacker is a great grid based digital theme with pinterest style design. If you looking for grid based theme and are fan of pinterest style website this theme is perfect solution for your portfolio site. 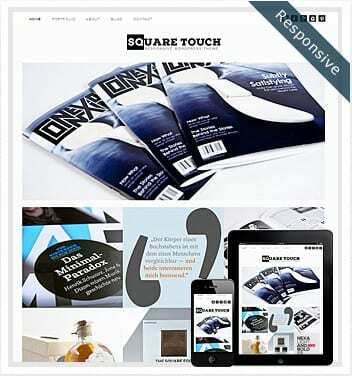 Well design and coded this fully responsive theme is easy on eye and very effective to showcase your work. 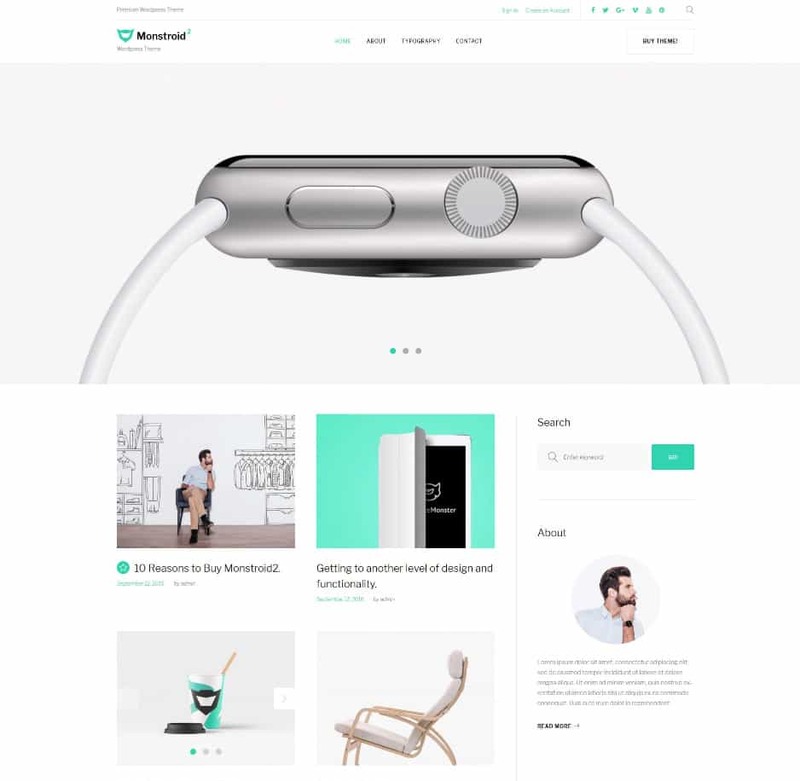 Monstroid2 Lite beautiful and well coded responsive WordPress theme to impress your fellow designers. 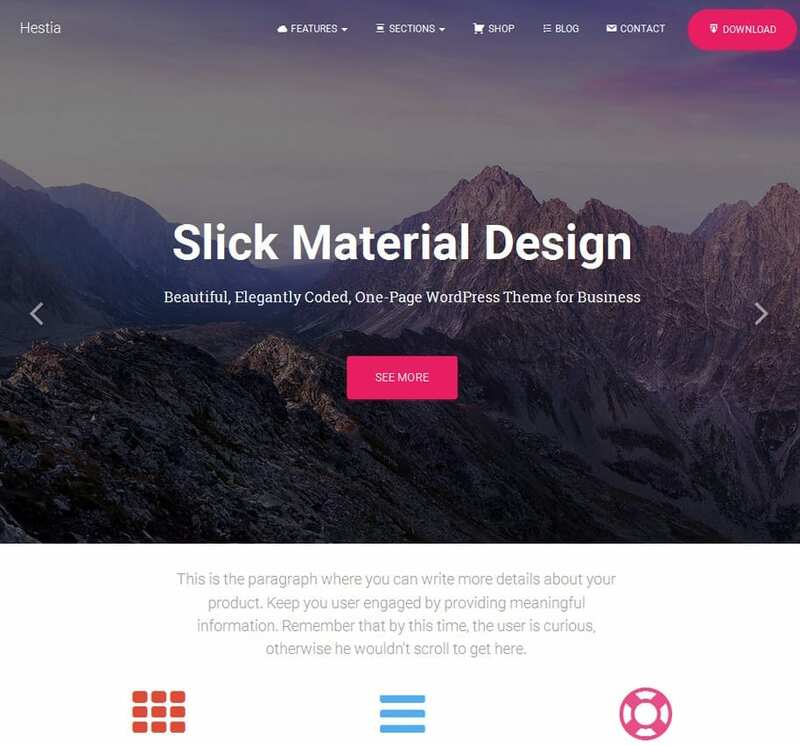 With fully responsive large build in slider and posts under the slider with right sidebar widgets this is one amazing looking theme for any creative lover. Many amazing features and customization options available, this theme is well documented and easy to install and setup. 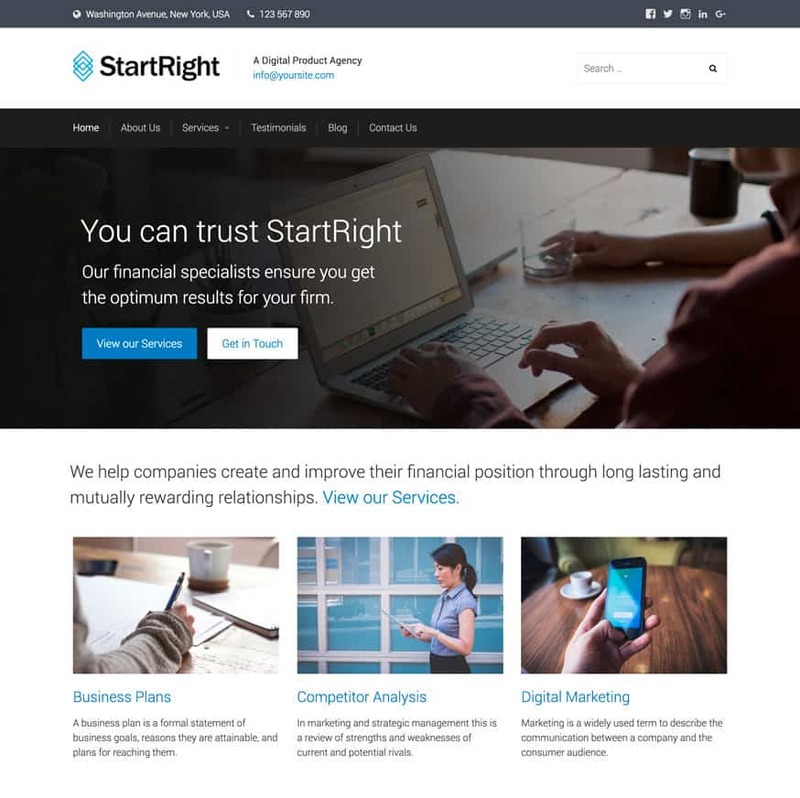 StartRight is another great portfolio well build and design. 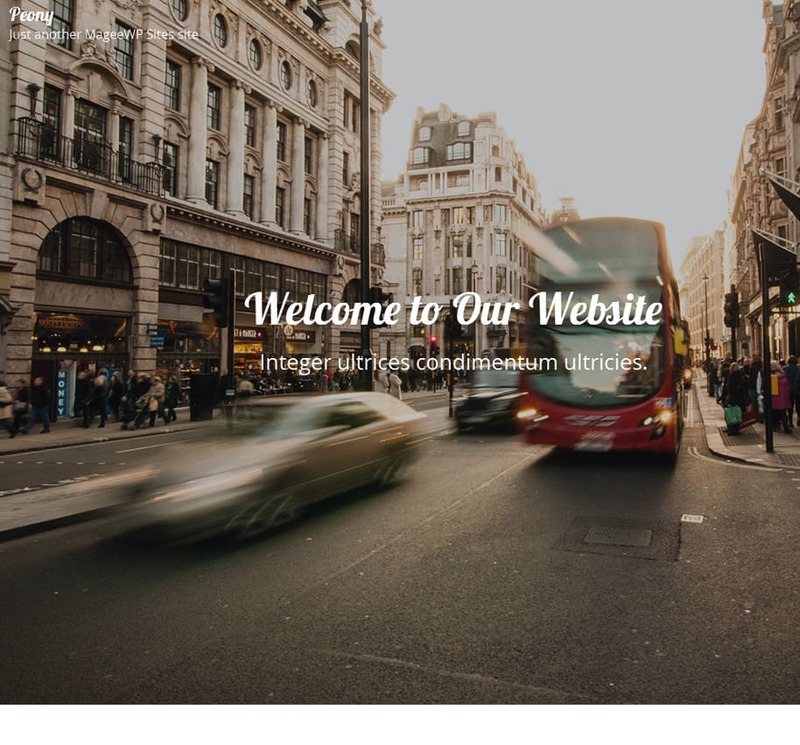 With the featured full width image and text over it with call out buttons, this is great theme for creative agency looking to update their website. It has section for services, digital marketing and business options. 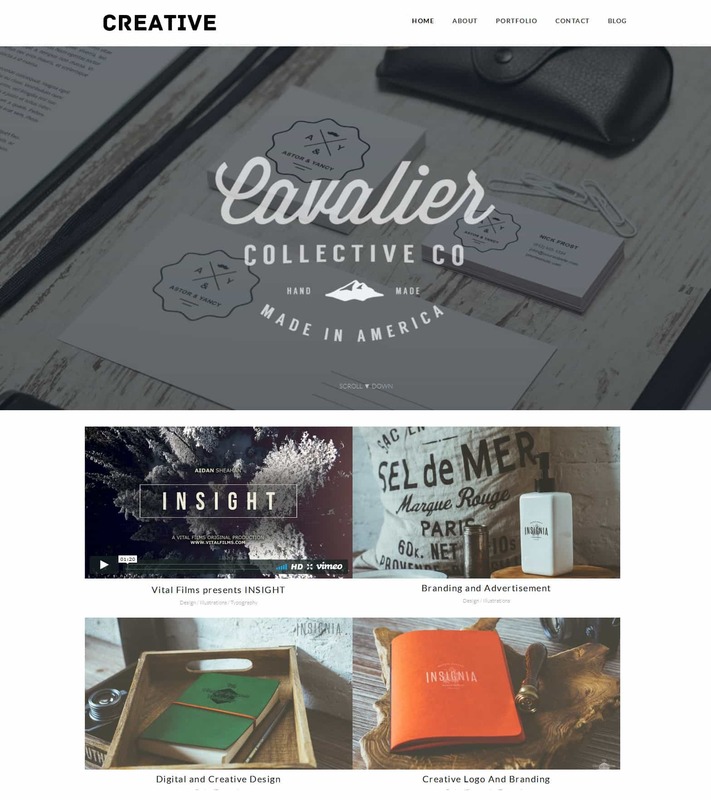 If you have a creative agency with amazing portfolio this is one theme to check it out. Kustrix Lite beautiful design and well coded fully responsive portfolio WordPress theme. With full width slider and featured posts with right sidebar for any widgets you wish to add. Clean and minimal perfect for simple yet powerful creative fashion portfolio website. 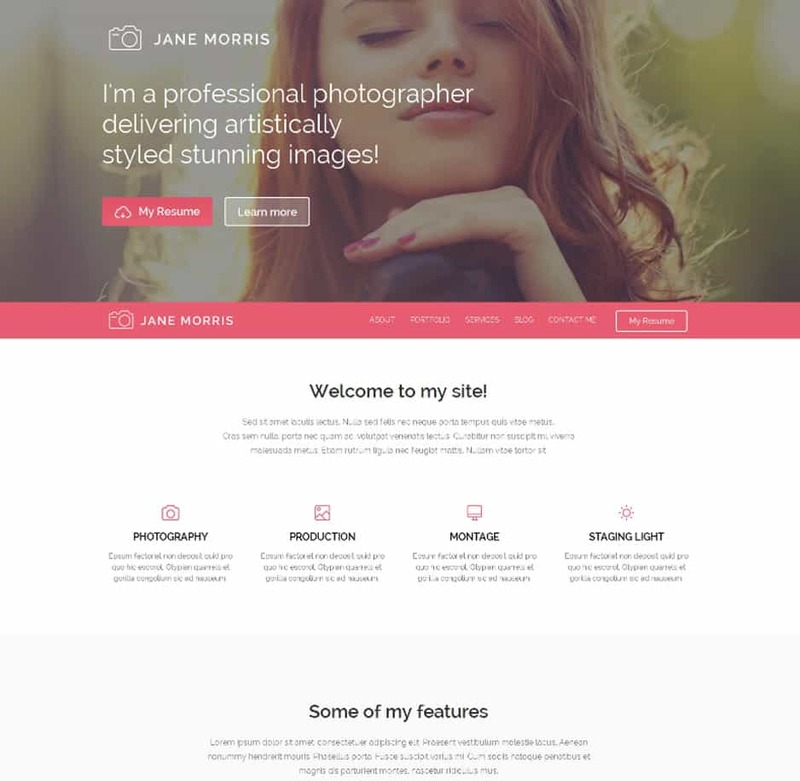 Photographer portfolio WordPress theme with large full screen background image with text overlay and call out buttons. Perfect for any creative photographer looking to showcase their portfolio and add resume for personal profile. Well design and build great theme for creatives. 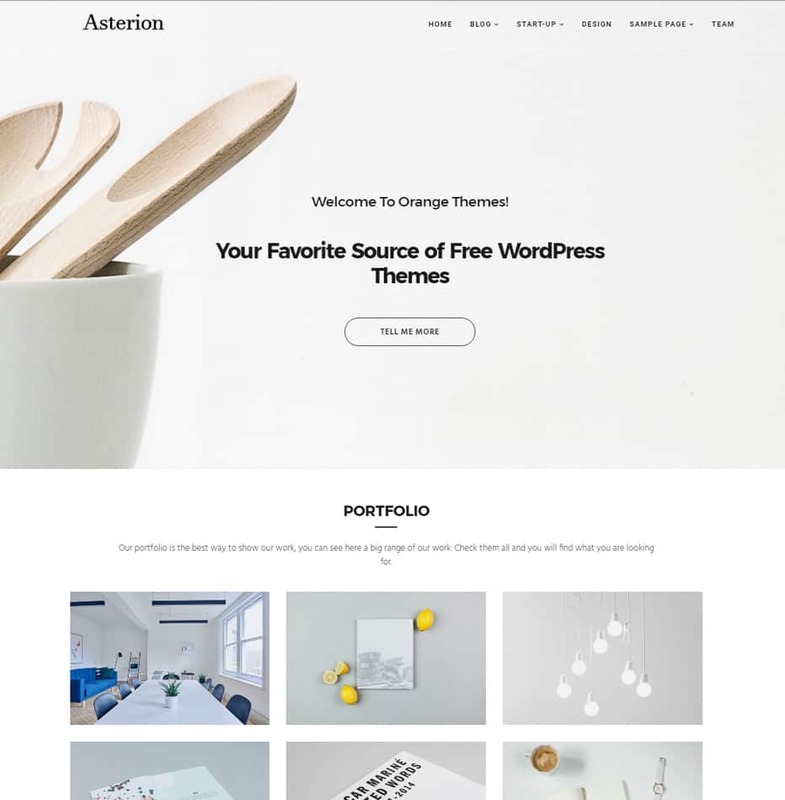 Asterion responsive WordPress theme for creative portfolio website. Modern and unique full background image with text and call to action buttons. Great theme for pixel perfect portfolio site, with build in portfolio section to add your creative work. 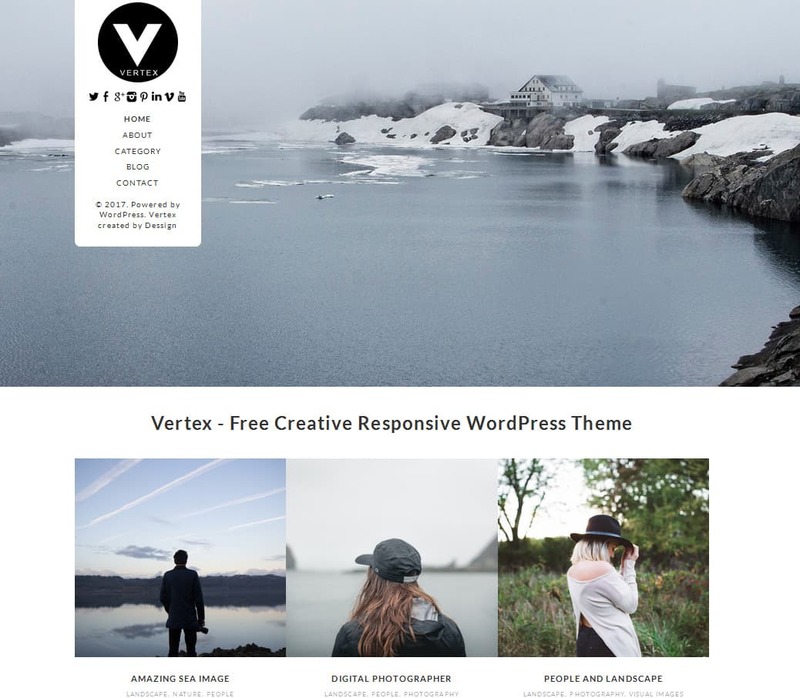 Clean and beautiful creative simple WordPress theme. Orsey modern fully responsive creative modern theme with build in slick slider. This is great theme for any creative blogger who want to show their work and also write about your process. Clean, modern and minimalist yet beautiful and effective way to showcase your amazing creative site. Shapely is a amazing free responsive WordPress theme with focus on large images and grid based design. Perfect theme for creative portfolios and visual website with many different options to choose from. Easy to customize and install, perfect to setup your next unique portfolio with pixel perfect unique responsive theme. 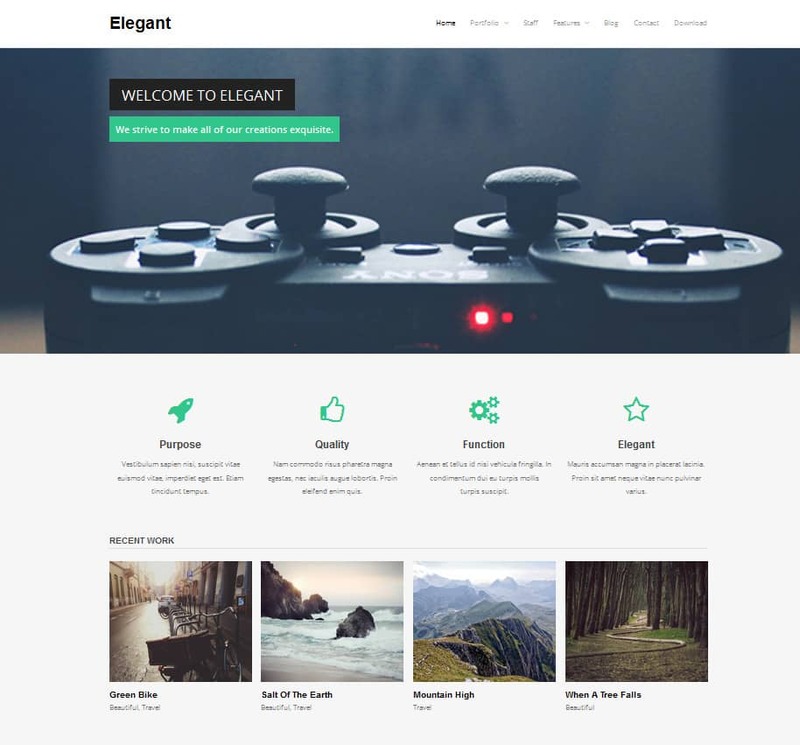 Elegant great looking free WordPress theme with large image and recent wort section on homepage. 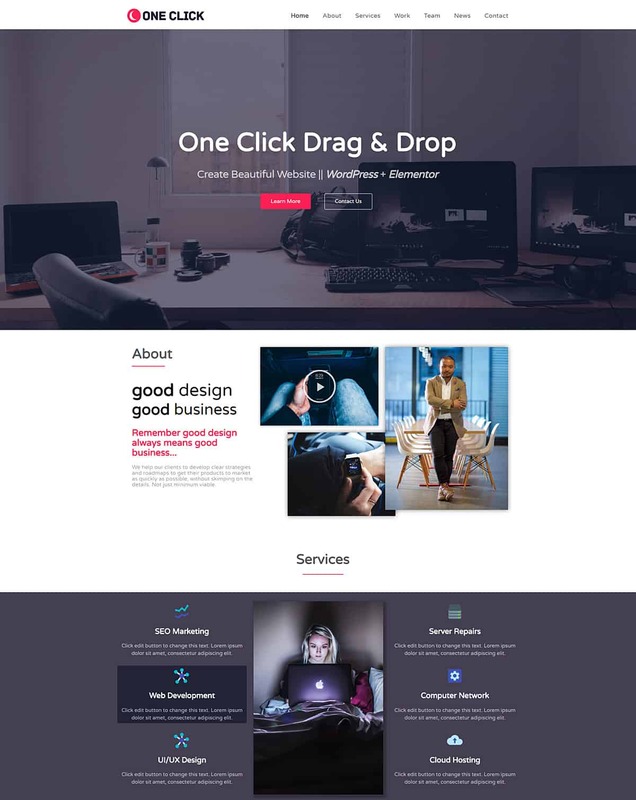 This great elegant is perfect wordpress for any digital professional looking to up their website with modern and clean and elegant looking theme. This theme has a purpose, function and quality when it comes to picking your next free folio theme. 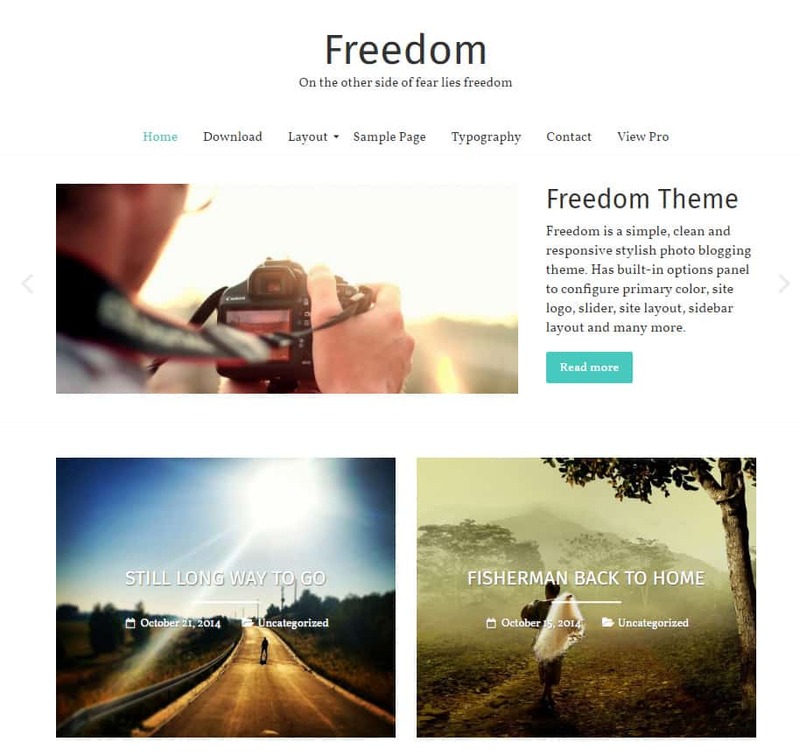 Freedom is a personal portfolio wordpress theme to create a great folio website. Beautiful responsive slider with text and large images under the slider show your most important work. Well design and grid layout let you showcase your images to the world. This freedom is perfect for any designer looking for freedom and ability to interact. Hatch amazing way to show your photos and introduce your portfolio to the world. 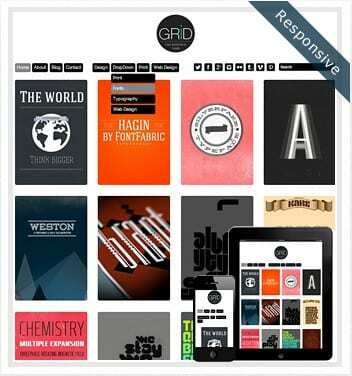 Grid layout design and well coded responsive layout let you present your amazing creative portfolio peaces in beautiful style. Hatch is amazing choice for any designer, artist or illustrator looking for simple portfolio WordPress theme. 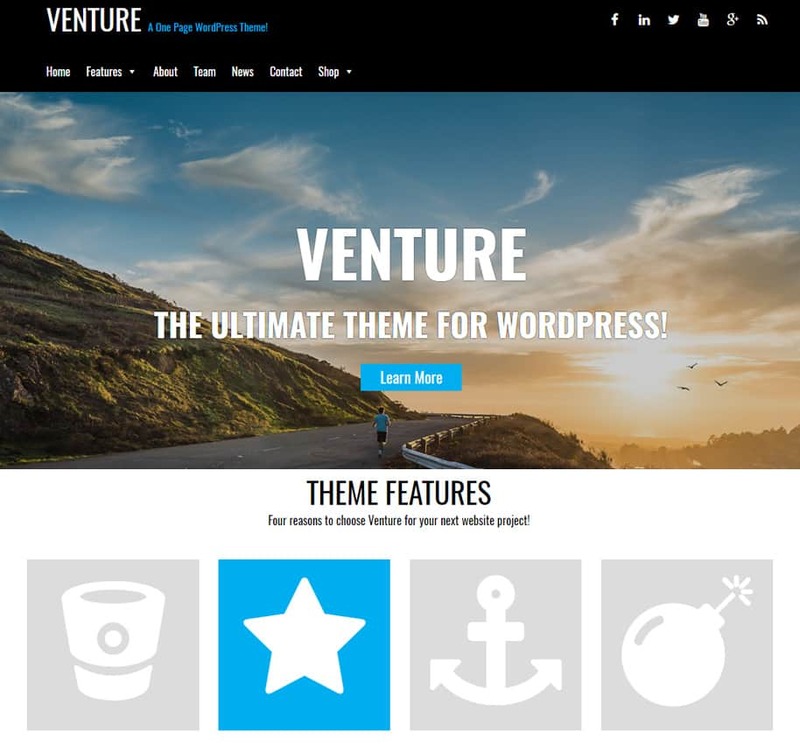 Venture is large and bold beautiful design theme with large background image and overlay text to get your visitor attention. Build your next portfolio site with this bold and amazing free wordpress theme. This theme will take your work to the next level, perfect to build folio related site with bold and unique content. Vintage is unique and well design theme with modern slider showing many posts within. Great option for gamer designer looking for cool and unique portfolio. 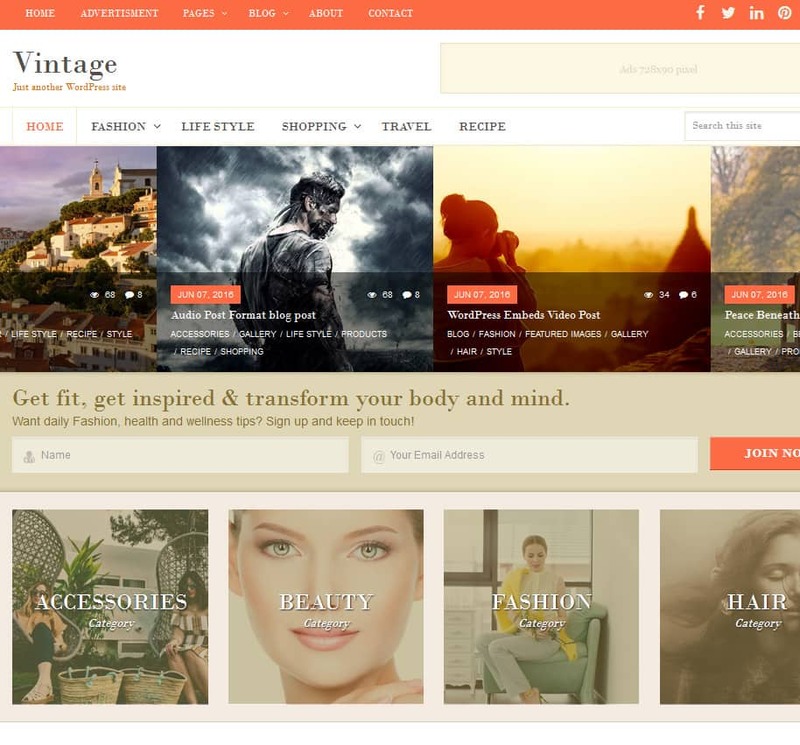 Vintage is free modern and minimalist theme ready for your next amazing website project, perfect and easy to setup and customize to your need. Peony is one clean free WordPress theme for any creative designer or photographer looking for large full screen images on homepage. With overlay featured text this amazing clean and modern theme is beauty to any design standards. Well organized and design perfect for your next portfolio site, with many options to customize this could be great for digital designer portfolio.